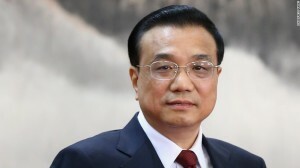 THE HAGUE - Chinese premier Li Keqiang on Monday called for free trade to be protected, as political tensions and a trade war with the United States escalated. "We want to jointly reaffirm our commitment to free trade and multilateralism," said, during a joint press conference with Dutch Prime Minister Mark Rutte in The Hague. "We are now in a world where economic and political conditions are complex and complicated, where there are many unknowns. We need to come together, we need to together protect multilateralism and free trade." Li called on China and The Netherlands to boost cooperation in agriculture, manufacturing and services. His comments came the day after a senior Chinese official said that Chinese leader Xi Jinping and US President Donald Trump would probably meet at a G20 summit next month but bemoaned "confusing" signals from Washington. The world's two biggest economic powers have imposed a mounting series of tariffs on each other, raising fears of a shock to the global system. Trump has levied billions of dollars in tariffs on Chinese imports as he presses Beijing to change restrictive trade practices that he says unfairly hurt American businesses. Political tensions are also growing over naval access in the South China Sea, and over US allegations that China is interfering in the American electoral process. Trump has however been counting on Xi to back his nuclear negotiations with North Korean leader Kim Jong Un.